Lunar New Year or Chinese New Year is ongoing across most of Asia. Photographer Jilson Tiu goes back to his roots in Taipei in time to join the vibrant celebrations around the Taiwan capital. Chinese New Year in Taipei sees a gathering of families, praying in temples and giving ang pao (red envelopes) of money for good fortune. The morning and afternoon has been quiet, but come evening, it’s when everyone come out to spend their ang pao! Locals and fellow travelers at the iconic Longshan Temple enjoy round fruits as a symbol of good luck. On the eve of the new year, locals light an incense and wave their wallets and trinkets above the smoke for prayers and good fortune. Built in 1738, the Longshan Temple is one of the most popular temples in Taipei and has been witness to almost 300 years of history and culture. 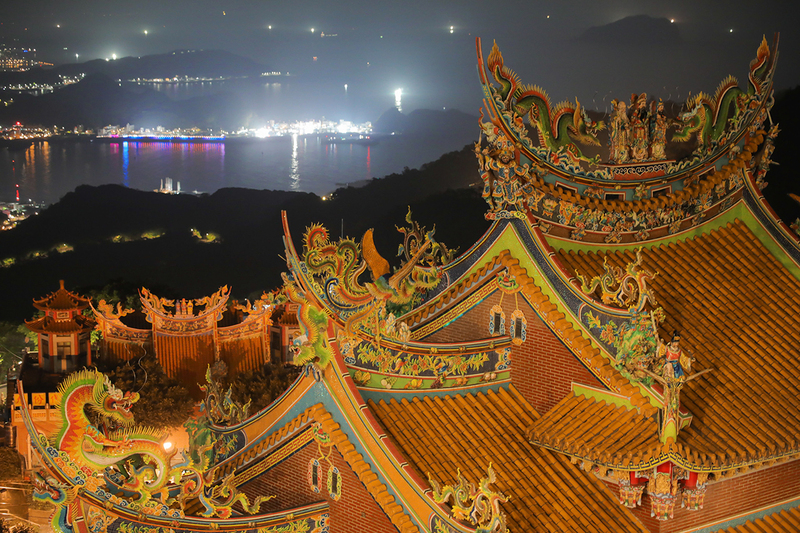 Light shows and lanterns are decorated all over the temple, as it fills with people celebrating the special occasion. Last-minute shopping and street food at Raohe, one of Taipei’s main street markets. Foggy and quiet evening during Chinese New Year at the islands across town. Old restaurants at Jiufen are filled with visitors all over the world, especially for the special occasion. At Jiufen old street, day trips are popular even for locals during Chinese New Year because it’s the longest holiday in Taiwan.